My mom has been in my thoughts all week. It probably doesn’t have anything to do with the fact that Sunday is Mother’s Day, but there it is. My mother was a complex contradiction in terms, as moms the world over tend to be. She grew up all tomboy with six brothers and two sisters, while at the same time evolving into an indisputably voluptuous young woman. She was born and raised in a small Kansas town, went to tiny schools, and was afforded the limited educational choices that generally attach to such an environment; but curiosity, intelligence, and EQ were in her DNA, so she was on a quest for learning from the start. Mother graduated high school and then earned what was known as an Emergency Teaching Certificate through a six-week course at the nearest state teachers’ college, 150 miles away. This was during WWII and the times called for desperate measures. At 18 years of age, she taught for one year in a country school where most of the older boys were taller than she. Then she met my dad and that temporarily ended her teaching career. She married a few months short of her 19th birthday, and three weeks shy of her 20th she delivered her first baby – me. Four more babies followed, one of whom she lost during delivery, and what with being a mother and a wife and filling countless other roles, she didn’t get around to college again for a decade and a half. There was never a time, however, when she wasn’t reading at least two or three books and filling journals with her thoughts. Finally, when I was a junior in high school, she enrolled in the local community college and graduated with honors. Then she went on to the local four-year college and matriculated with highest honors. With those credentials she taught English, Drama and Yearbook for several years at the high school my siblings and I attended. My two sisters and brother all experienced the genuine privilege of having her as a teacher. Later, she taught EMR (old label which stood for Educable Mentally Retarded) classes, and was one of a handful of women who founded the Learning Co-op for this part of the state. I was thoroughly immersed in my own life by then and didn’t keep up with everything she was doing, but I knew enough to be very proud of her. Somewhere in there, Mother earned a Master’s degree, and had family circumstances not intervened it’s highly probable she would have gone on to get a doctorate. Because of Mother’s love of learning and reading, my sisters and brother and I grew up in a household of books. When we were little she spent a lot of time reading to us, and later on carted us to the Carnegie Library every week or so and let us choose our own stack of books to take home. She had a small office filled with books, and her end of the couch was surrounded by yet more books and notebooks. Each of us absorbed her priorities and ended up with our own love of reading and writing. Sadly, we had to say goodbye to our mother far too early. A sudden heart attack took her from us when she was just 67 years old. I often find myself wondering what she might be like now in her 80s, but I need only remember what her mother – my grandmother – was like into her 90s — beautiful, intelligent, interesting, kind, thoughtful, fun-loving and funny. I miss them both, and therein lies another story …. Previous Fair-weather … everything! Next So, are you a people-pleaser? Precious, precious story Judy. It definitely explains the wonderful woman you are. So glad to have you as a friend. I love your writing. Keep it up. Your encouragement is wonderful, Linda, and I’m glad you liked the story. 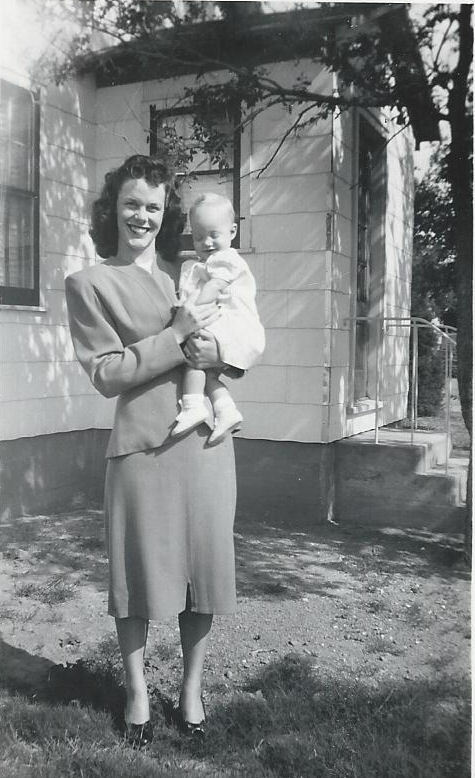 I aspire to being the kind of woman my mother and grandmother were … but they were both FAR nicer on the inside than I am, so it may be a lost cause. I’m getting incredibly outspoken in my “old age.” I’ll definitely keep writing, here, Facebook, elsewhere — it gives me a way to vent! Thank you very much. I think we all feel like orphans when our mothers are gone, no matter how old we are. Sorry about your mother he left the world. God rest her soul in peace!